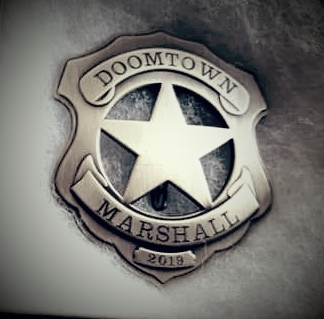 Badges are limited this year to GenghisCon (Agent), Chupacabracon (Texas Ranger), Edinburgh (Marshall), and Tombstone (Marshal), however, Origins and GenCon also include storyline/design prizes as well! Hooray! Come visit us in beautiful historic Edinburgh and get a chance to decide which city the Doomtown card game visits next. If we get a bunch of out of town guests we can look in to setting up social events/mini tournaments around the main event. Speaking of to round out all events for this thread, all Origins and GenCon events have been submitted.